The price of gold is at a five-year low, but could this be a good time to invest long-term? If so, you may be interested in coins. NEW YORK (TheStreet) -- It's no coincidence that business began to pick up for Chris Brigandi when gold prices plummeted to a five-year low this week. His customers were just following one of the market's most basic principles: Buy low. "When gold drops this fast and this much, we see a lot of people jump into the markets," said Brigandi, the manager of Brigandi Coin Company in New York. "We've had a lot of people calling and coming to the store to buy gold because they think it's a great buy right now." Gold is currently trading at $1,080 per troy ounce, its lowest price since February 2010, and down 43% from a high of $1,888 in 2011. Does that mean it's hit rock bottom? Maybe, maybe not. But both gold and silver, its (considerably) cheaper alternative, "will bottom out, probably sooner than most people think," said Jim Wyckoff, Kitco's senior technical analyst. "We'll be in 'up-trends' at some point." The current drop is attributable partly to the strong dollar, which tends to make investors less interested in using gold as a store of value, as well as China's sale of some of its stores of the precious metal. "This is a phenomenon that will reverse itself," said Wyckoff. "Gold and silver prices at their present values are longer-term value buying opportunities." If you're not quite ready to try investing in them through the commodities markets, though, there are easier ways to invest in both gold and silver, which is trading at $14.49 per troy ounce, the lowest since August 2009. Coin collecting is one, according to both Brigandi and the U.S. Mint. The mint, established in 1792 as the sole maker of currency coin in the United States, distributes precious metal, commemorative coins and national medals. Its products offer value as collectibles as well as the intrinsic worth of the metal from which they're made. 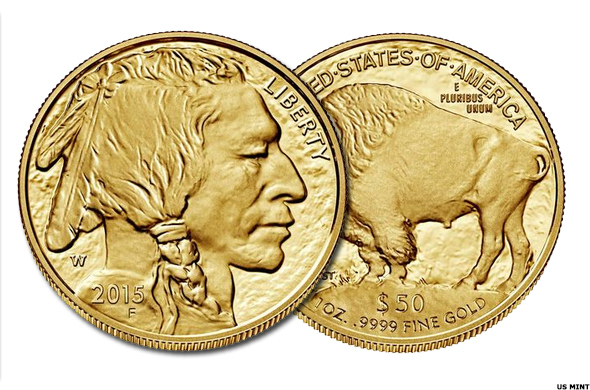 Sales of the mint's American Eagle Gold Bullion Coins, for instance, have risen by 236% since July of 2014, while sales of its American Buffalo Gold Bullion coins climbed nearly 136%. Collectible versions of bullion coins are easier to buy than ever with the agency's new mobile app for smartphones. 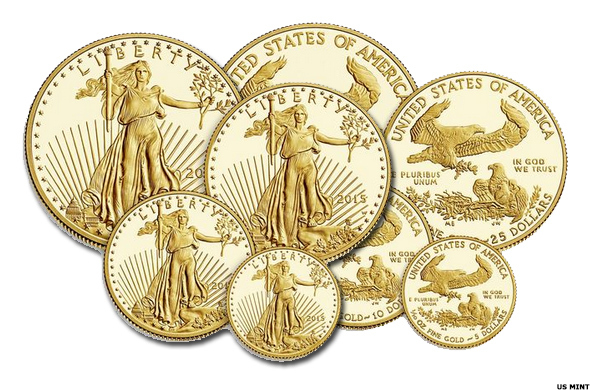 The U.S. Mint only sells bullion coins, precious metal coins regularly traded on the commodity markets, to authorized purchasers for investment purposes, and the premiums on those coins are low to entice people to invest in gold and silver. Collectible coins are generally sold at a premium as compared to bullion coins because they are sold on the collector's market. Coin collectors should be mindful of the difference between the gold and silver commodities markets and the collectibles market, Brigandi said. Bullion coins carry a premium to the metal's spot price but still tend to follow the metals markets more closely than collectibles, whose prices are affected by the demand for a specific coin and how many were created that year. Even more prized are so-called proof coins, which are highly polished to accent the design and "generally carry a high premium even when you sell them back to a dealer or buyer," said Brigandi. One example of a collector's return on investment is the 1994 Proof Silver Eagle coin, originally purchased for $23 and recently sold for nearly $1,800, according to the Brigandi Coin Company. Another is the 1995-W Proof Silver Eagle coin, the only silver coin sold with a set of 4 gold coins, was originally priced at $999 and recently sold for nearly $20,000, according to Brigandi. If you'd rather try bullion coins, whose prices are more in line with the markets, make sure that you find a reputable coin dealer for your purchase, Brigandi said. "It's an investment right now because the price has come down so fast and so much," he said. "Usually when it drops like this, you see a good correction in the market." Priced at $2,797.50, this set includes four collector versions of the official American Eagle Gold Bullion coins and is one of the most expensive sets that the U.S. Mint sells. Collectors will receive one-ounce, half-ounce, quarter-ounce, and tenth-ounce sizes, and the coins are 91.67% gold and 3% silver, with the remainder in copper. The coins are in $50, $25, $10, and $5 denominations. This coin is the first 24-karat gold proof coin created by the U.S. Mint. Priced at $1,540.00 and 99.99% gold, it features replicas of the "Indian Head" and "American Buffalo" created by 20th-century sculptor James Earl Fraser and used on the nickel coin from 1913 to 1938. The coin comes in a hardwood box. 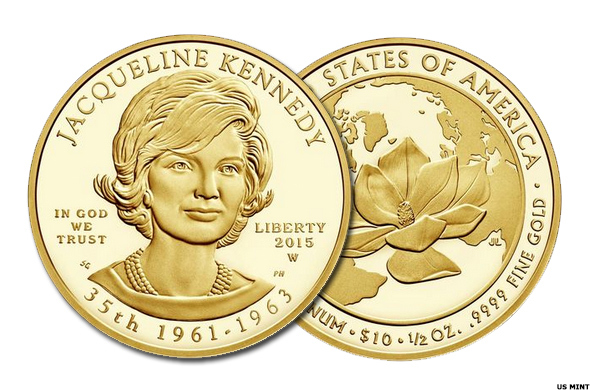 Priced at $790, this coin features a portrait of Jacqueline Kennedy, the wife of U.S. President John F. Kennedy, who was assassinated in 1963, on the front. On the back is a species of saucer magnolia, a plant that Mrs. Kennedy placed near her husband's grave and in the White House garden. This $10 coin is 99.99% 24-karat gold and is encased in hardwood. If you are looking for something cheaper, then this 99.9% silver coin could be for you. 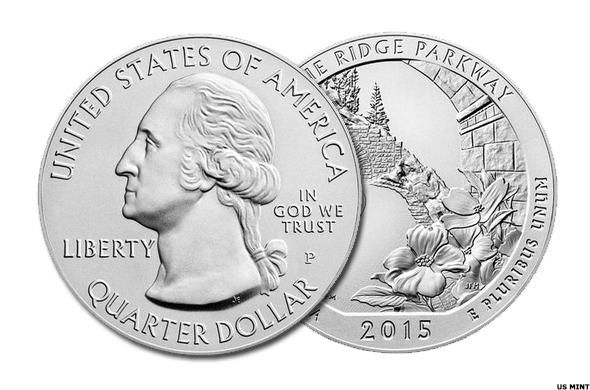 Priced at $149.95, the coin features the Blue Ridge Parkway that runs along the Blue Ridge Mountains through Virginia and North Carolina. The monetary denomination is a quarter. 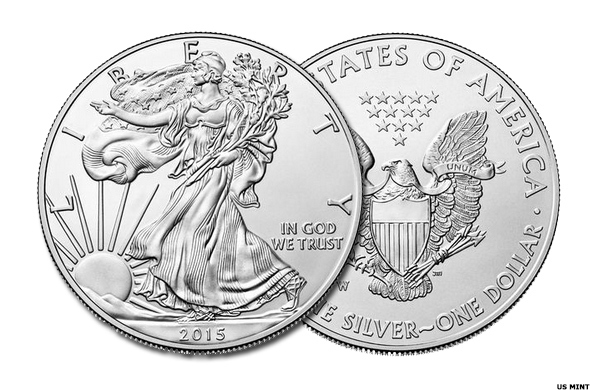 This dollar coin is 99.9% silver featuring the "Walking Liberty." Priced at $39.95, it comes in a blue-velvet satin-lined case.